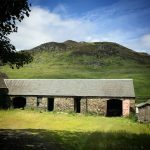 We have been following Helen Stewart’s journey at Badvo since August 2017, waiting in anticipation for the launch in earlier this year. 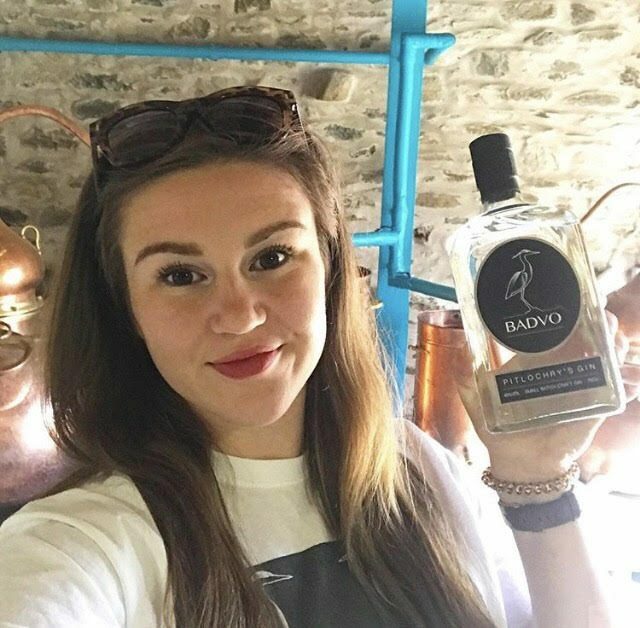 Helen created the Badvo Distillery in between a full-time degree in English Literature and Linguistics at Glasgow University, and when I say created, there was talk of sledgehammers when we met. 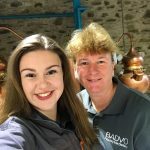 Badvo was a dream that was firmly rooted in the surroundings – a perfect botanical larder on land that has been in the family for 500 years and a part-time job at a local distillery, close to the farm, where Helen learned first-hand about distilling and spirits. 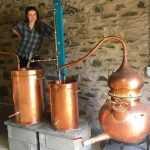 Helen is a remarkable young woman, who not only got her hands dirty knocking walls down in the outhouse that is now the distillery, she also designed the plumbing system to pump water in, applied for grants, funding and of course, HMRC approvals, all whilst studying. There was a moment when she thought about deferring her degree, but counsel from her parents stopped that in its tracks. The stills – Archie and Mags – are named after family friends, with Archie sitting in all his copper glory at 200l and Mags half the capacity. There is a heron (not a real one) watching over the stills, which is also reflected in Badvo’s brand identity. We should mention that Helen also designed the labels, which are classically simple. Interestingly a heron comes to visit them often, in the stream that runs through the farm. Badvo, from a sustainability perspective, is fantastic, as all the native botanicals, including the juniper, is grown on their land, where sheep graze happily. So, here we are on a driech Autumn day on the cusp of the Cairngorms, tasting gin and eating the most delicious marmalade ever (orange, lime and gin) on oatcakes. We were lucky to be given a preview of the Sloe Gin that is available as of 14 November, and it’s delicious. All the sloes are harvested by Helen and Avril on the farm, and Avril is keen to roll out even more seasonal expressions given the abundance of fruit that they have growing around them. Both are great cooks, and this is evident in the flavour profile of the gin (and the marmalade). There are hampers ready for Christmas – Badvo Gin, Badvo Sloe Gin (only available in the hamper for now), glasses and the tasty marmalade. Badvo has also released a limited-edition postcard series in 20cl bottles, featuring different vistas on each bottle. So, what’s next? Helen has been invited back to Glasgow University to give a lecture at the Business School and many more exciting things besides. I think it’s fair to say, we can expect even more great things from this mother and daughter team.